Arrival and transfer to Villa Spiros. After you settle in meet your hosts for a drink so they can tell you all about the week and the island. 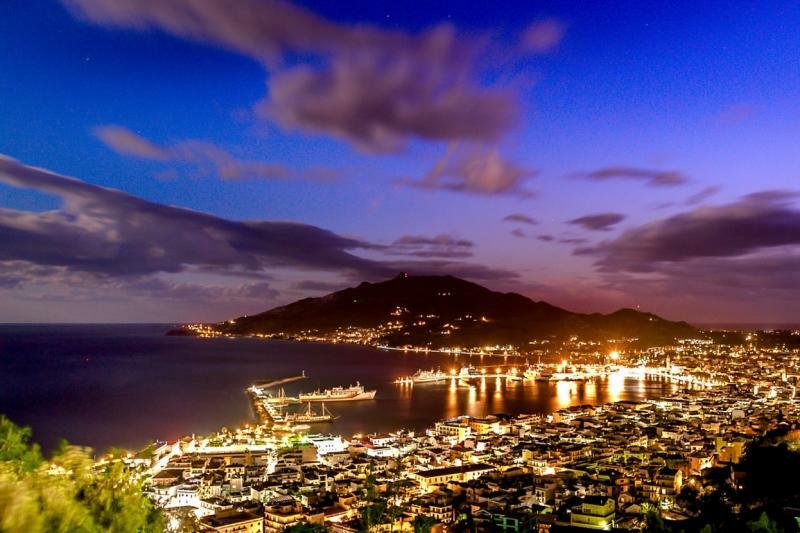 In the afternoon/early evening take a trip to Bohali at the top of Zakynthos town and enjoy a traditional welcome dinner with fantastic views over the harbour. Cook with Effie, your host. Prepare delicious, healthy Greek stuffed vegetables and an organic Greek salad. While the food is cooking you have free time to explore the area, head to the beach for some swimming and snorkelling. You may even spot a loggerhead turtle. Return to the Villa and join your hosts for the lunch you helped to prepare, served in the garden with some chilled house wine. After breakfast head to Xigia beach towards the north of the island where the warm waters are rich in minerals thanks to the sulphur springs bubbling up from the seabed. 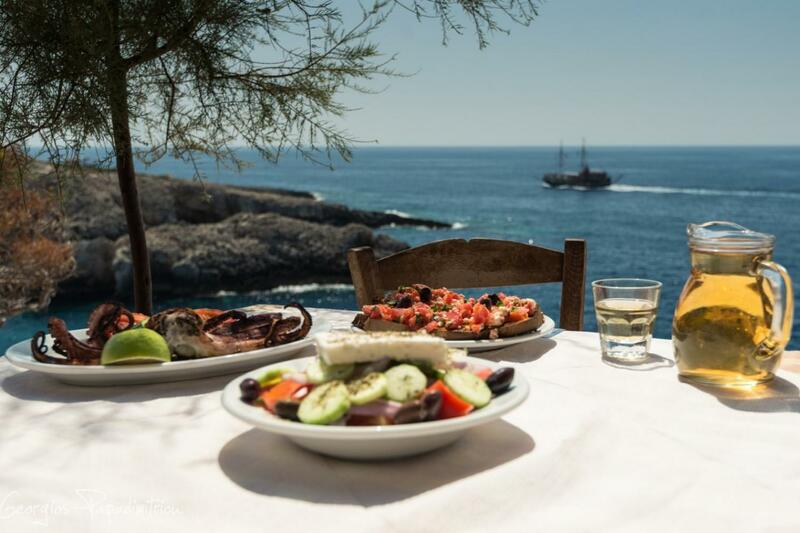 Continue further north driving through picturesque villages and stop for a farm to fork lunch in a small family-run mountain taverna. 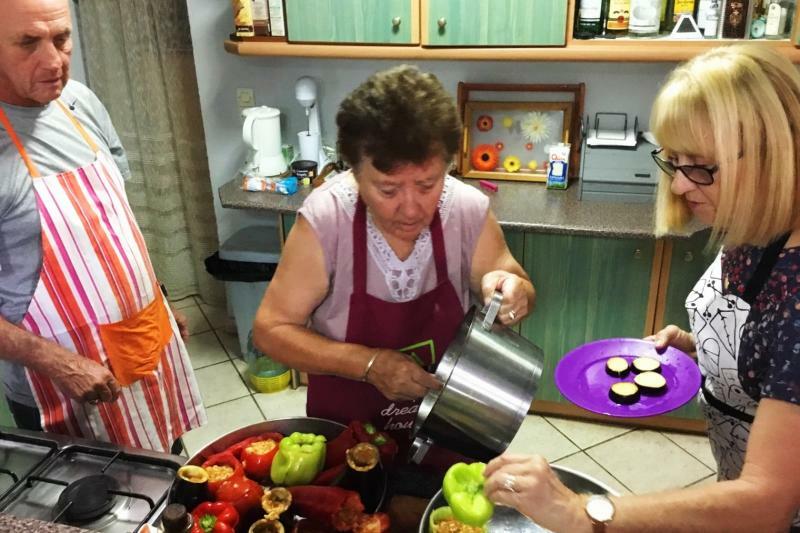 After a welcome drink the family's grandmother Athina will show you how to cook a traditional family recipe, stuffed free-range chicken in tomato sauce with pasta, along with a variety of starters. While the food cooks in a traditional wood-fired oven, your hosts will show you around the farm to see where the ingredients were grown. 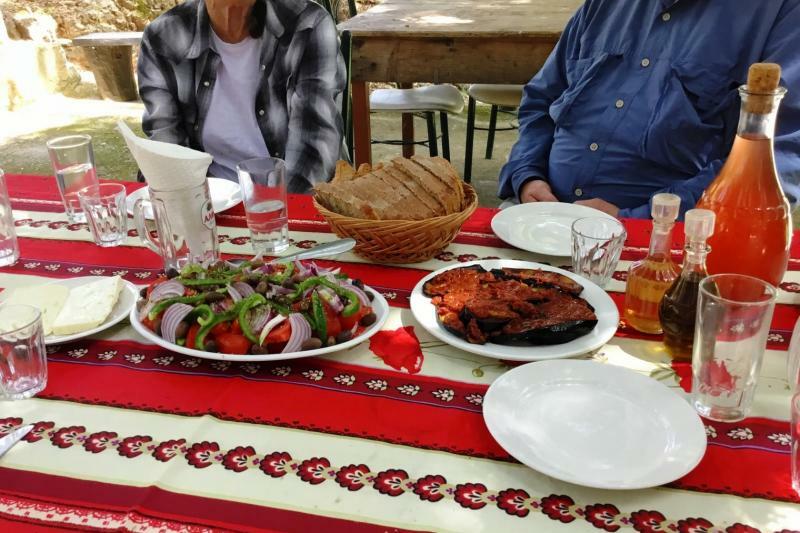 Then back to the taverna where in the shade of a spreading oak tree you can enjoy the food you have cooked, plus local wine, and homemade dessert. 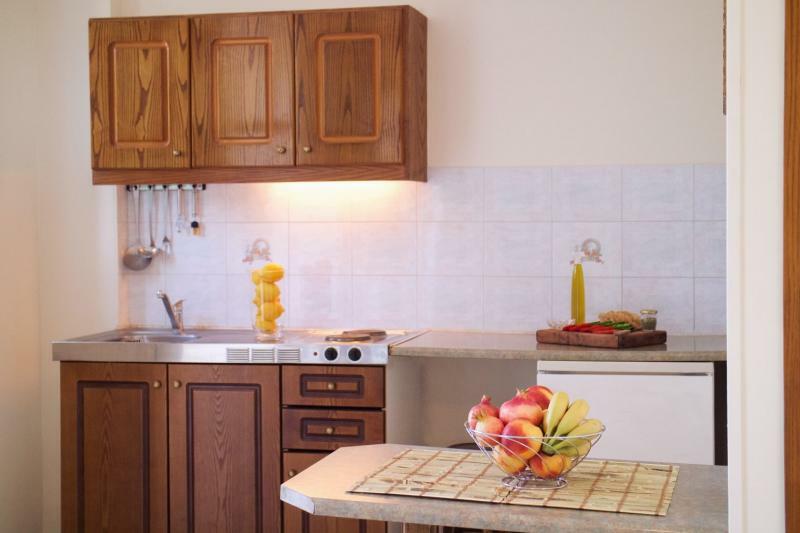 Today you will prepare rabbit in tomato sauce and tzatziki using fresh, organic ingredients. While it is cooking, take a boat trip to 'turtle island', swim in the turquoise water and sunbathe on the golden sandy beach. Head back to the villa to eat what you cooked that morning. In the evening visit a familiy-run winery where they will talk you through the wine-making process and let you try some red and white wine on the terrace accompanied by some local cheese. Enjoy the morning at leisure, then around midday head to the north of the island with a few gastronomic stops along the way. Take a boat past the blue caves to shipwreck bay for some swimming. If the weather is too windy to take the boat, you can admire the famous beach from the viewing platform set into the cliff top above. Later that evening enjoy a traditional dinner at a local taverna popular with the locals, famous for its excellent food and magnificent sunsets. Mid-morning, visit a confectioner’s shop in Zakynthos town. The fourth-generation confectioner and shop owner will put on his apron to show you step by step how to make classic Baklava. 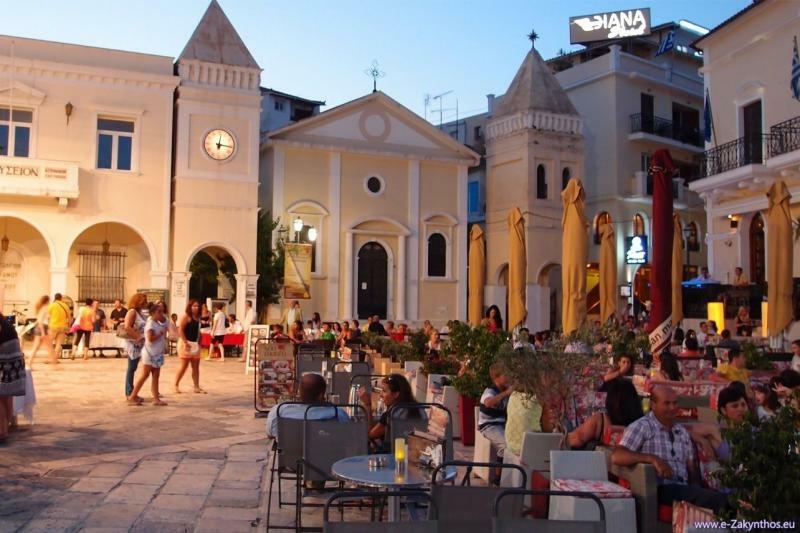 Then take a relaxed guided walk round the town to see some of the sites and sample a local custard-type pastry from a street stall before walking through Solomos Square. At St Mark’s Square sit and watch the world go by outside a traditional coffee shop. Batteries recharged, you are ready to hit the shops before a final stop for lunch at a traditional taverna. There’s a wide choice of food, but this is a good chance to try the famous souvlaki or gyros. Entire day at leisure, followed by a farewell dinner at a nearby taverna. Enjoy a traditional Greek celebration with great food, company, wine and of course music and dancing. 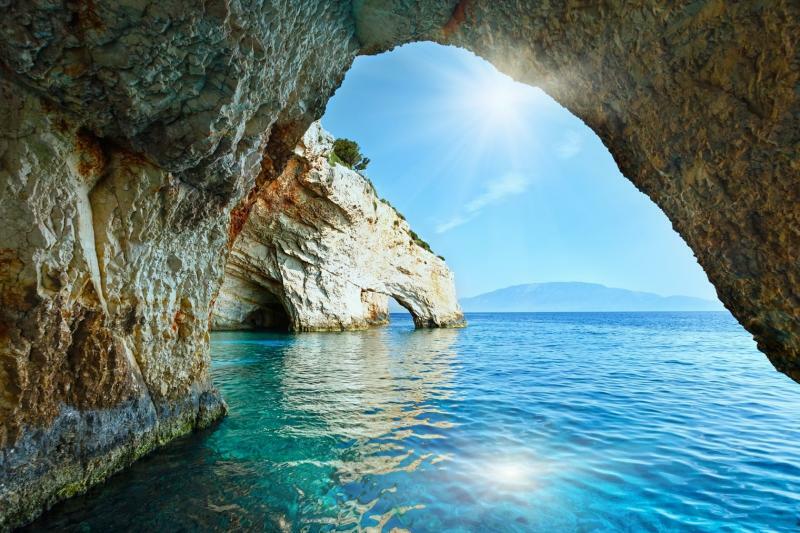 Zakynthos, also known as Zante, is one of the Ionian islands to the west of the Greek mainland. A popular destination for package tourists over the summer who flock to its long sandy beaches and nightclubs, it also offers a glimpse at a more traditional way of life. 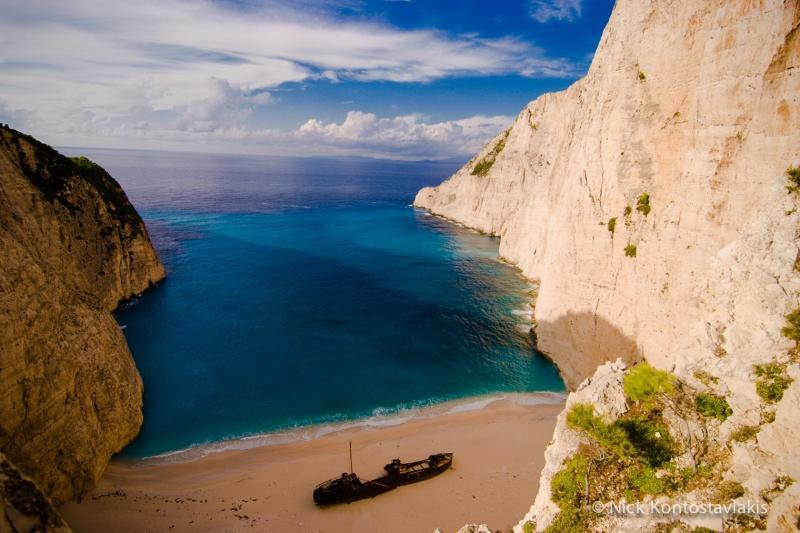 Head away from the main resorts towards the north of the island and you will find a rugged coastline interspersed with coves and sandy beaches, like the famous secluded 'shipwreck beach' at Navagio, and the nearby blue caves with their brilliant turquoise waters. Home to Greece's first marine park, the rare caretta sea turtle lay their eggs on beaches around the south of the island, and if you're lucky you'll spot some in the water while you're out snorkelling. Inland you can find small rural villages with family-run tavernas and wineries, where you can savour local farm to fork specialities and enjoy a glass of ouzo with the locals. 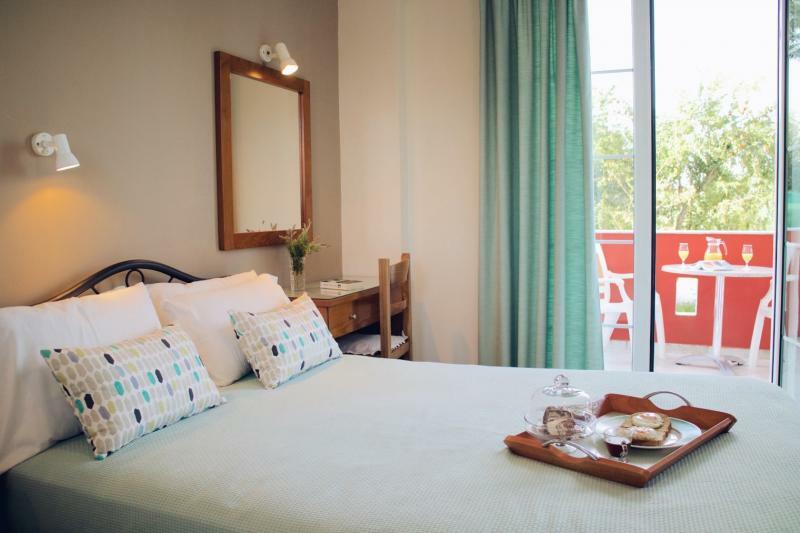 Located just 5 mins walk from Laganas beach, and 150 m from the main street where the shops and restaurants are found, these comfortable family-run apartments are a great base for your stay in Zante. Zaynthos town is around 7 km away. 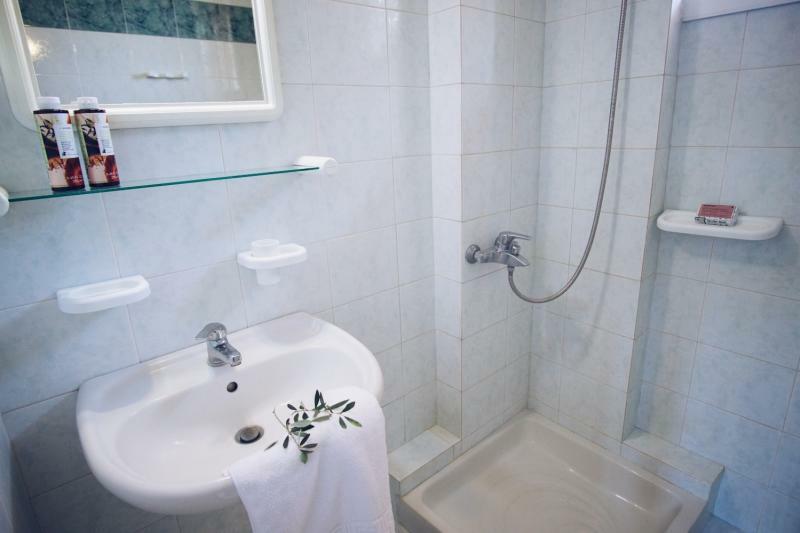 Complete with fully-equipped kitchenette with fridge and electric hob, each studio apartment also has a private bathroom with shower, TV, air-conditioning, safe, balcony and free WiFi access. There is also a reception area and communal lounge, as well as a barbecue area.